Millions of cubic metres of sea floor is being removed from the Great Barrier Reef World Heritage Area right now. It's the largest dredging project ever undertaken in Australia, making way for massive new coal seam gas export facilities. 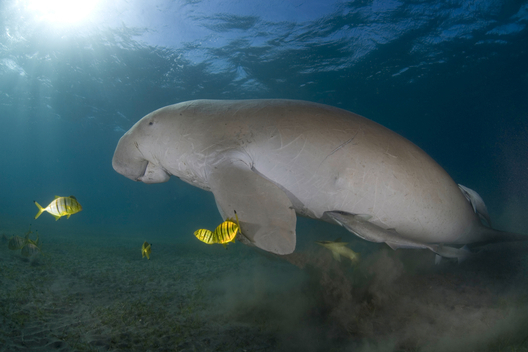 This massive industrial activity is damaging the Great Barrier Reef and threatens its status as a World Heritage Site. Sign the emergency petition now! The Great Barrier Reef is the largest coral reef in the world and is recognised as a global treasure, due to the amazing biodiversity which it sustains and it's unparalleled beauty. The Great Barrier Reef is one of the 7 Wonders of the Natural World. The reef brings in billions of dollars of economic activity every year and supports tens of thousands of jobs in tourism and the fishing industry. The largest dredging project ever undertaken in Australia was approved to occur within the Great Barrier Reef WHA, at Gladstone Harbour, and is slated to remove a total of around 50 million cubic metres of soil. The ecosystem of the GBR is already very fragile and is facing total collapse with the added pressure of the dredging, which releases toxic chemicals into the sea. In the past 6 months (the first stage of dredging) there has been a steep increase in deaths of endangered marine wildlife - 6 dolphins, 10 dugongs and 231 turtles have washed up dead near Gladstone on the Great Barrier Reef. Fishermen and their families have been getting sick and have noticed that many of the fish have washed up with a strange flesh disease. The Australian government failed to inform UNESCO of the approval of the gas facilities in the Great Barrier Reef WHA. Please let your friends know that urgent action is needed to help save the Great Barrier Reef. Please take immediate action to protect the Great Barrier Reef and halt all industrial development activity in the Great Barrier Reef World Heritage Area and surrounds. We ask that you do not approve any new major coastal developments until the strategic assessment of the Reef has been completed.